"These Days" was a slow burner for me. "Wasting Light" has become my favourite album by the Foos and whilst I've always liked "These Days", I think it wasn't until I saw the music video that I truly appreciated how damn good this song is. When Dave Grohl sings "but it's alright..." live in the music video and the crowd errupts... it just sends chills down my spine. I saw the Foo Fighters 11 years ago live but I really truly wish I appreciated them back then as much as I do now. I'd happily see the Foo Fighters again live, they're an incredible experience. 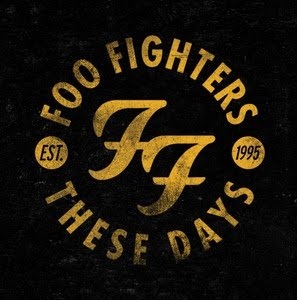 Anyway, "These Days" is just a lovely Foo Fighters song, on an excellent album that I've reviewed on my website, you can read that here. If you missed #71 go here.